What a great way to spruce up the kitchen with this cute chicken art! 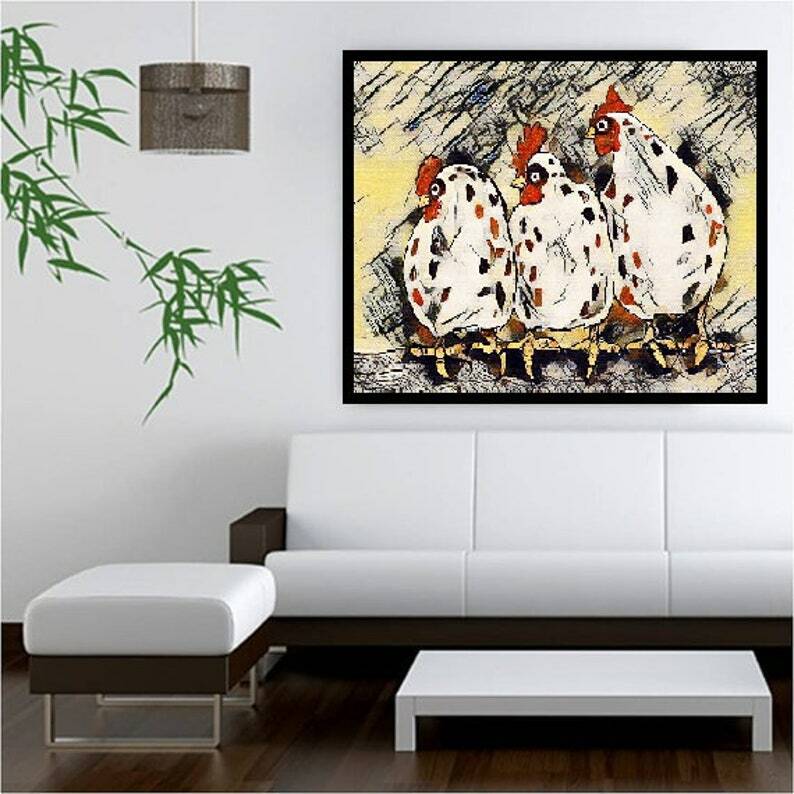 This chicken art comes as a jpeg image download so you can print to the size you want. No waiting for anything in the postal mail. Just simply download the file and print it at any local photo center, copy shop, or home printer! This is best quality when printed to size 8x10", 10x12", or 16x20". Any larger may seem distorted or blurred.